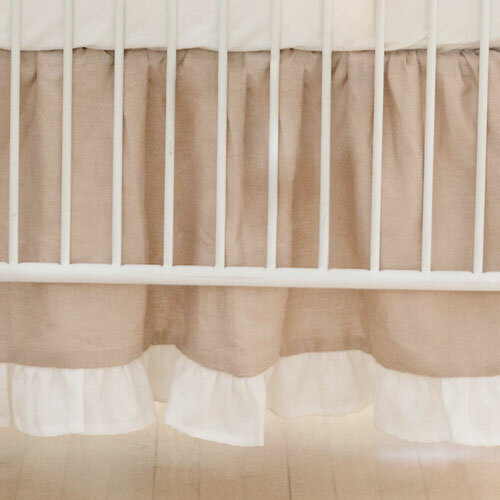 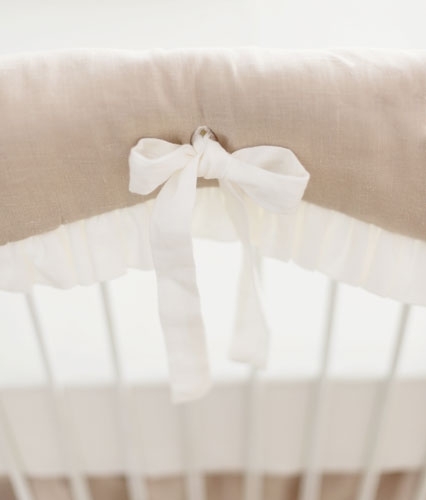 Our Washed Linen in Natural crib rail cover with ruffle is sweet for a baby girl's nursery. 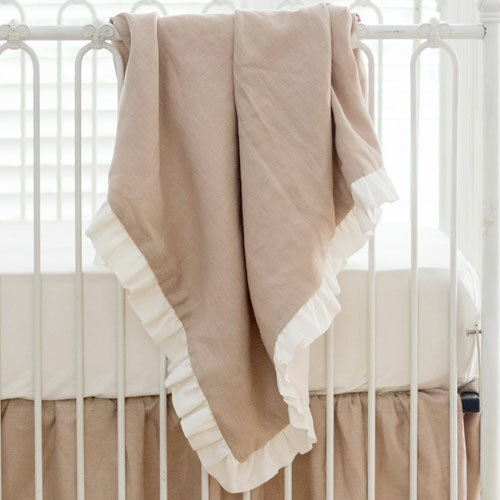 Crib Rail Covers are a great option for bumperless designed baby bedding, and will keep your baby from chewing on the crib. 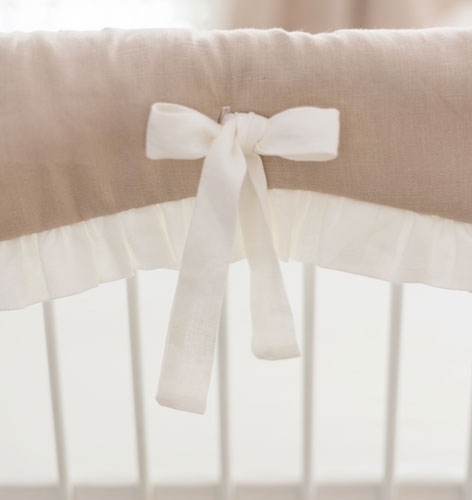 Fits most standard size cribs (if you are unsure, please contact us before ordering).